TWO GREAT WAYS TO ORDER! Maximize Your Quick Pot's Abilities with the Accessory Kit! 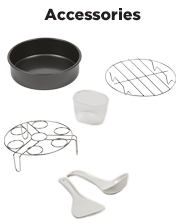 You can Upgrade to include the Accessory Kit for just an additional $29.97! •	Soup Spoon, Rice Ladle, and Measuring Cup! Select 'YES PLEASE' to Upgrade to include the Accessory Kit! Please Select Yes Please! No Thank you! Protect Your Purchase! 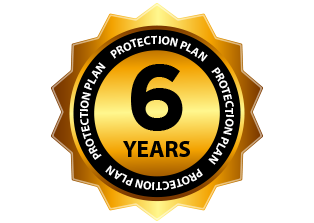 6 Year Protection Plan! We know that life happens – whether accidents, power surges or general wear and tear – so we developed our 6-year Protection Plan that you can add to your order for just $29.97. •	One fee covers your entire order! •	Costs a mere $5.00 per year! All you have to do is return your unit and we'll replace it and ship it back at no additional cost. It truly is that simple! Select 'YES PLEASE' to add a 6 Year Protection Plan to your order! 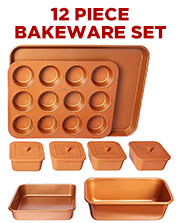 Bakeware designed for even baking every time! The 12-Pc set is only $29.97 with FREE SHIPPING! Please select the quantity you would like to add to your order!